Below is one of the first of the Crumpler Series. I have matted it and, as with the Scratcher Series, I will be offering them for sale in later posts. 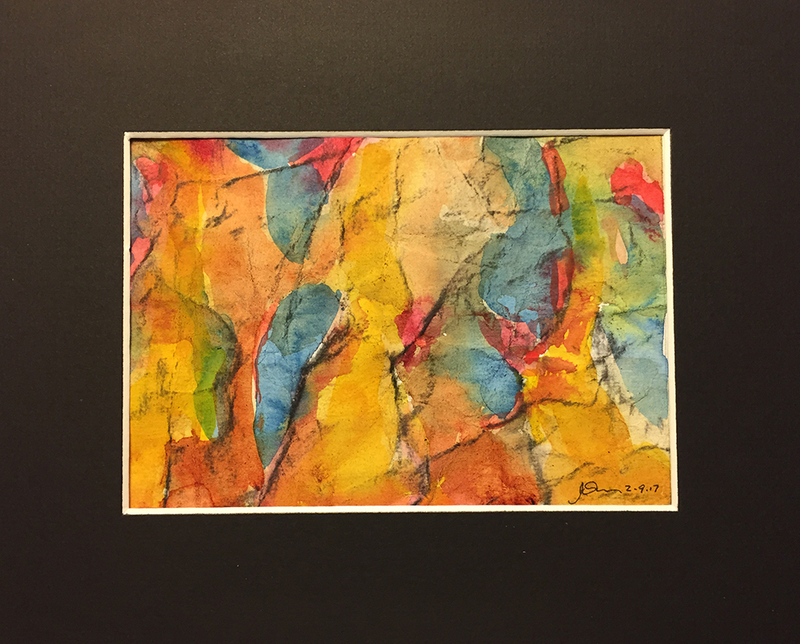 This entry was posted in Personal Stories and tagged abstract art, abstract expressionism, art, artistic process, artwork fo, creative process, creativity, matted watercolor, visual arts, watercolor. Bookmark the permalink.